Buy Hades' look: Top , $12.98 ; Jeans , $16 ; Shoes, $57.16 ; Bag, $19.80 ; Bracelet, $4.80 ; Earrings , $5.95 ; Headband , $7.99. 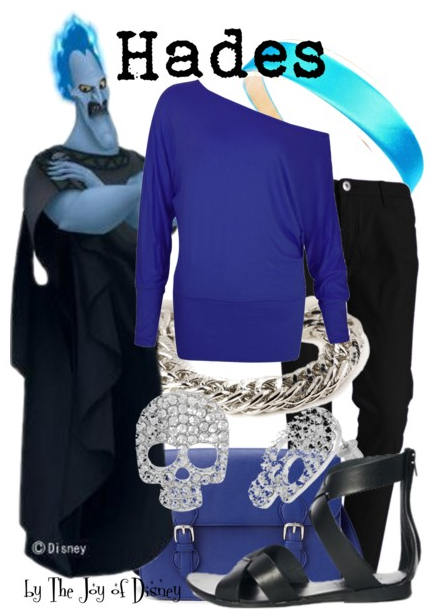 Casual outfit inspired by Hades from the movie Hercules! This outfit is also pretty affordable too, everything but the shoes are less than $20!